What is Google Play Protect and How Does it Keep Android Secure? Android is open, flexible, and all about choice. Unfortunately, that flexibility comes more potential security issues. The good news is that Google has a system in place named Play Protect that helps keep Android secure. Google Play Protect represents Google’s entire Android security philosophy under one name. Play Protect is a multi-part system, designed to keep your phone safe from front to back—it’s part malware scanner, part Find My Phone, and part Safe Browsing. Before we get into the details, however, here’s how to find your device’s Play Protect status. If you’re curious to see what Play Protect is doing on your device, it’s pretty easy to do. 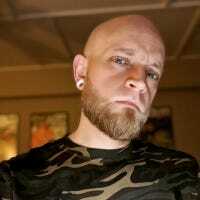 Go ahead and fire up the Play Store to get started. 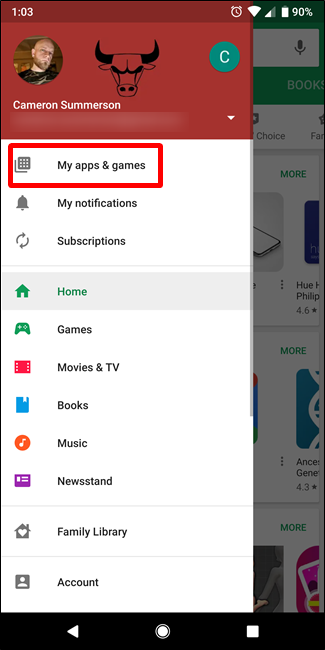 Open the Play Store menu, and then select the “My Apps & Games” setting. The top option on the My Apps & Games page is the Play Protect status summary. Tap it to find out more. 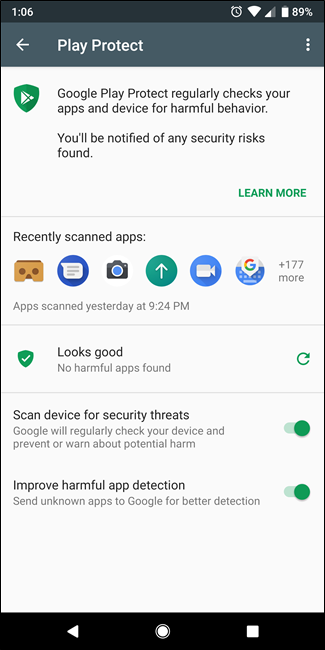 The Play Protect page shows recently scanned apps, lets you know if it has found anything questionable, and gives you a few options to toy with. It’s very cool. Now, here’s what that really means for you and your phone. Play Protect’s primary reason for existing is malware scanning. It uses machine learning to scan and verify over 50 billion apps every single day—both inside and outside the Play Store. 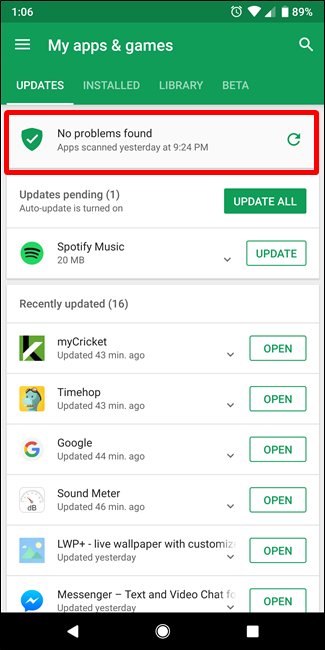 Basically, on the back end, Play Protect’s malware scanner checks every app that enters the Google Play Store to make sure it’s a legit app. If something is caught, it’s rejected (or removed) from the Play Store. But Play Protect goes a step further to help keep your device safe even if you sideload applications. 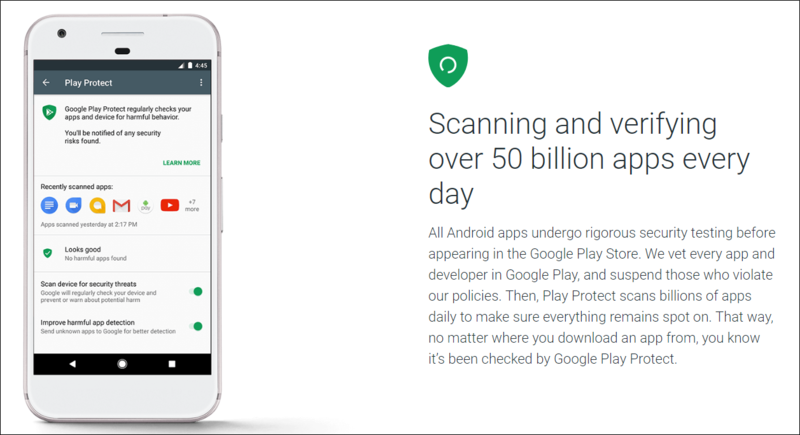 Not only does it scan apps in the Play Store, it also scans all apps on your phone for malicious activity—no matter where they came from. If it finds something suspicious, you’ll be notified. Of course, just like any malware scanner, it’s not perfect. Some things may slip through the cracks, so it’s also up to you to be as smart as you can about installing software. If you find yourself with that gut-sinking feeling of suddenly not knowing where your phone is, you can use Play Protect’s Find My Phone to track your device. Regardless of whether it’s lost or stolen, you can track down the phone’s current (or last known) location. 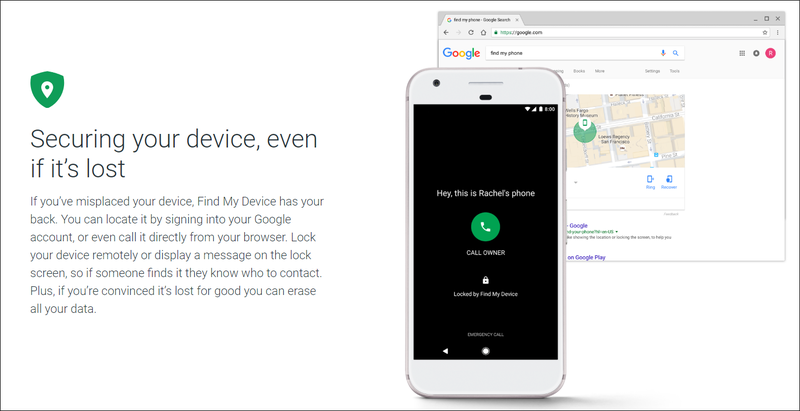 And if it seems like you’re not getting your phone back, you can use Find My Phone to remotely lock and wipe your device. That way, you can at least make sure your personal information is safe from prying eyes. 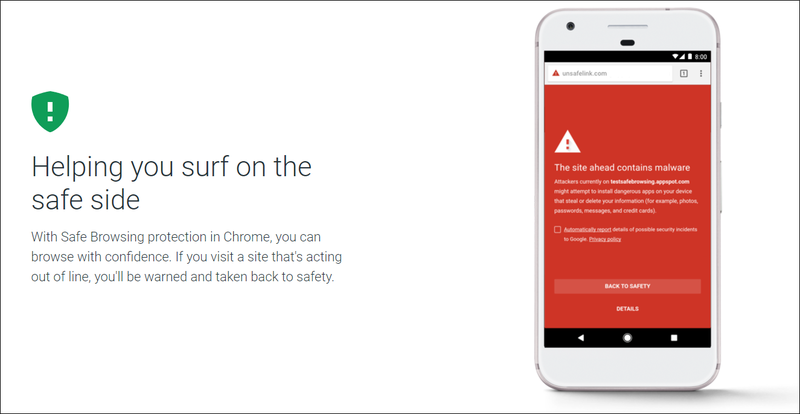 Play Protect also integrates seamlessly with Chrome to keep you safe from malware on the web. If it detects malicious code on a website, you’ll be warned and directed back to safety. This feature should be familiar for anyone who uses the Chrome browser on the computer as well, because it’s the same basic concept. Chrome watches for any indicator of suspicious activity and blocks it if something questionable happens.